Mibrasa® is a versatile, high quality closed barbeque grill hand made in Spain and designed to satisfy even the most demanding chefs. 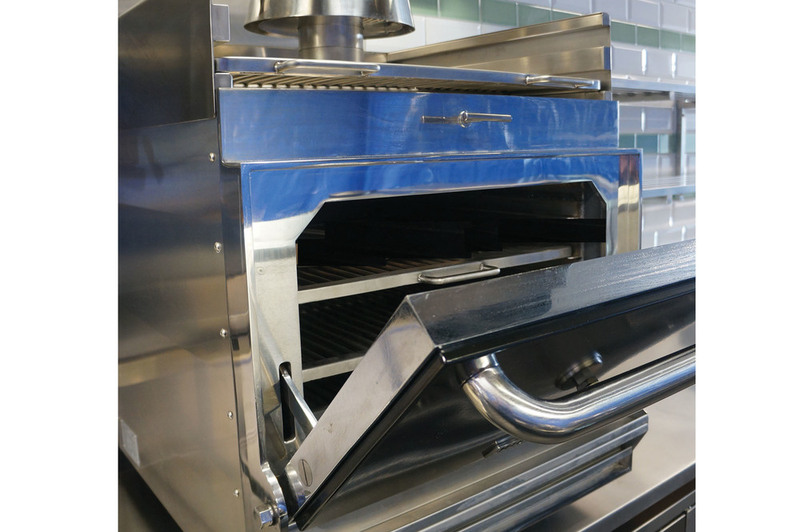 The technical specs allow the user to accurately control the air flow through the grill, changing the intensity of the embers and reducing the amount of charcoal needed, therefore being an extremely efficient way of cooking. Featuring in several restaurants including 'Little Jimmy' in Epsom, Simon Gault's ‘Crab Shack’ in Auckland and ‘Social Kitchen’ in New Plymouth, a Mibrasa Charcoal Oven is a showpiece in any kitchen. Click here to read the article from Hospitality Business (May 2015) on the recent use of Mibrasa® products at 'Social Kitchen'. For a full range of Mibrasa products click here or to see the Mibrasa in action click here.